That said, the company does do good by traveling to remote villages, removing the shoes kids already have, and forcing them to wear Crosskix. 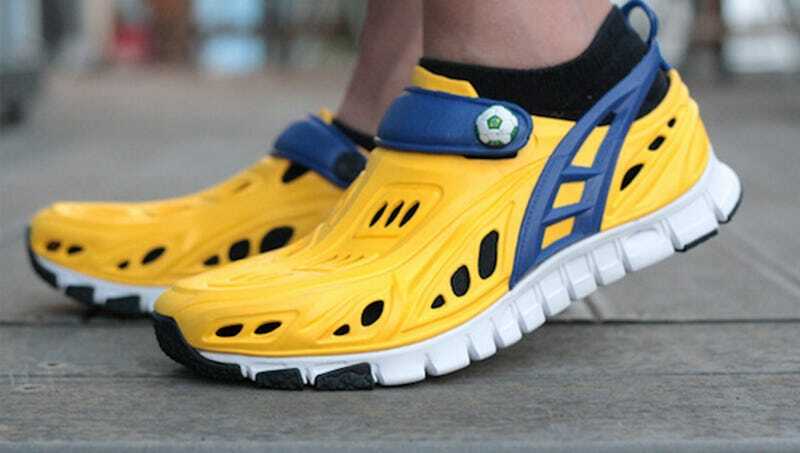 JK, like Crocs, they take the rubber from used shoes, melt it down into a funky slush, and mold it into material for playgrounds, tracks, and courts. Hey, has anyone ever seen one of these playgrounds built from the glory of melted crocs? I'm looking and I can't find any. What's up? If you're buying these things, you better be building entire villages from their ruins — otherwise, what's the point*? *BESIDES WALKING ON A GD CLOUD.